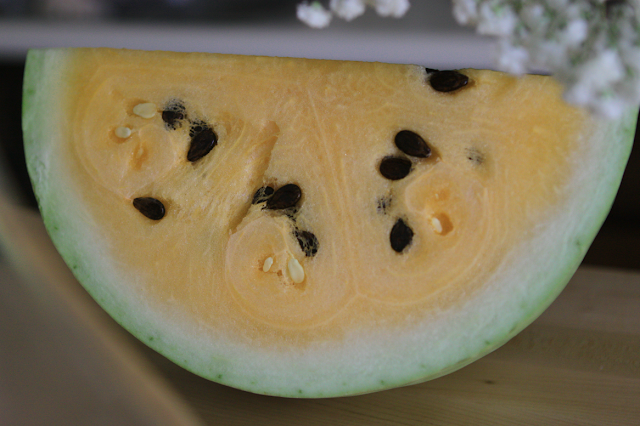 The gents picked up this yellow watermelon just before I came back, and it's simply delicious! I'd never seen one before. It tastes pretty much the same (a tad sweeter?) but it's more fun to eat since it's out-of-the-ordinary! Watermelon is truly one of my favorite things about summer.